Our Planner kit contains three items. Filling them out in this order works well. The first time you use them, I recommend you start a day or two before your workweek starts. Sunday night works for many of my clients. Both of these can be worded differently and sometimes you’ll want get more specific. Overall, you want to know what has to be done, or suffer the consequences (ie pay bills or get late fees) and what needs to be done to further your short and long term goals (ie plan for an upcoming marathon) . Using the word “absolutely,” may help you weed out urgent but unimportant tasks. 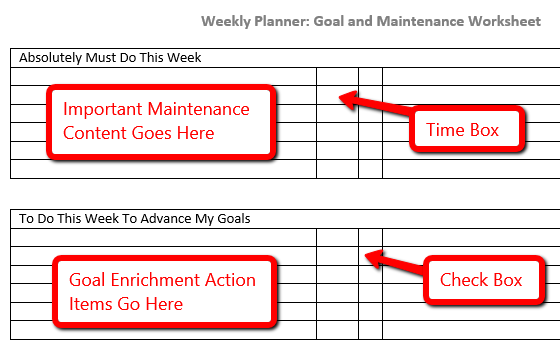 Prioritizing your short and long term goals will help you break them down into action steps. How to Use: I recommend that you set aside at least a half hour on the weekend to plan out the upcoming week. Saturday mornings work well if you just finished a busy week, and have ideas fresh in your mind. If you close out your week, and want to set aside planning activities, Sunday evenings are usually best. List out your must do items in the top box along with your goal related items in the goal planning box. Once you have your items thought out, insert them into the appropriate day of the week for completion. You add suggested times for completion and check them off when completed. If plans change, it’s easy to move things around. This weekly planner ties with our Top 6 Daily Planner. 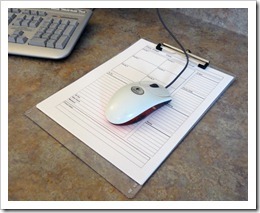 Just print up a fresh sheet each day and copy your items over from your weekly planner at the beginning of the day. Sort them by priority. Create a next action to-do list. 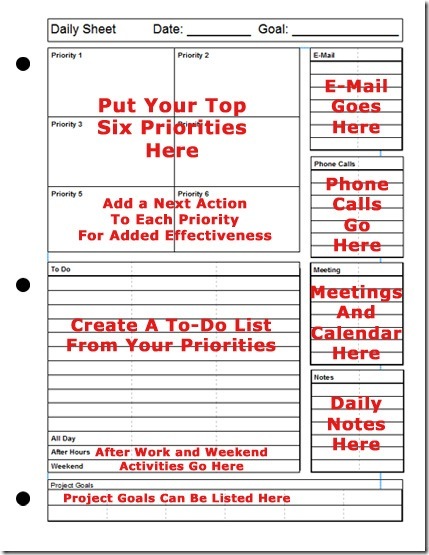 Top 6 Daily Planner instructions and free download here. Taking some of the best strategies from popular time management systems, we combined them together into a one sheet Daily Planner. This printable daily planner sheet is quick to use and has places for all of your daily activities. 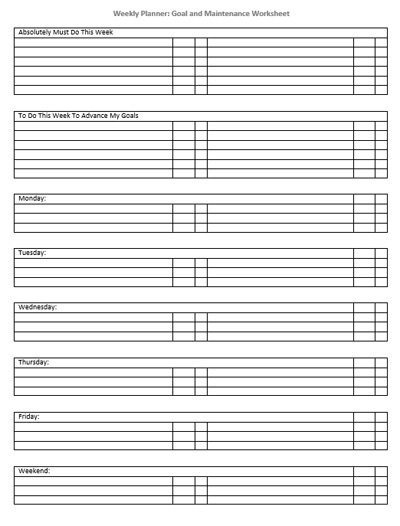 The Printable Daily Planner Includes..
A good way to use the sheet is to print a new one each morning. Then take a pen and write down your top priorities for the day. Sometimes, you may only have a few and sometimes you’ll fill in all six. Under each priority, you may want to jot down a next-action. As you open email and throughout the day, write down people that you need to email back in the email section. Do the same thing with voicemail and phone calls. Write down any meetings or appointments in the meeting box. Once you have the basic information filled out, create a simple to do list. It’s real easy to do when you have your top priorities right in front of you. With the next actions listed, it’s easy to get started. Our popular daily planner has a great new feature. 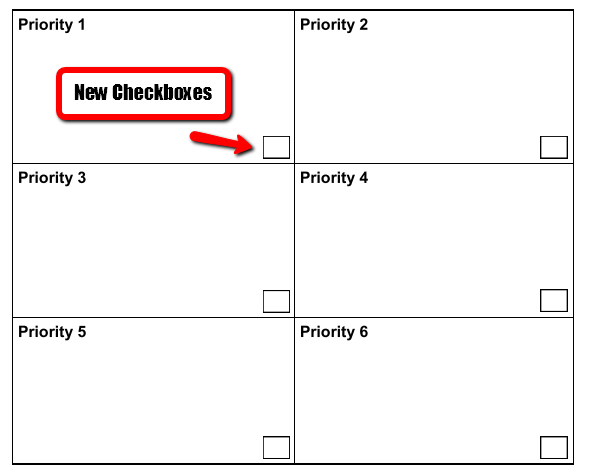 Our top six priority boxes now have a check box in each. This simple box will empower you through the day. 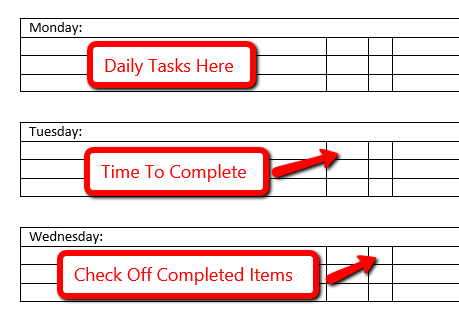 Each time you see a task, the checkbox will call you to action. Task after task will be accomplished. 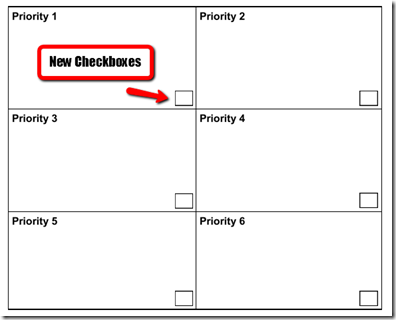 These little boxes will prompt you to fill them in on a timely basis. But that isn’t the best thing. When you get all six checkboxes filled in, you can go to the top of the document, where all the world can see, and click the WIN Checkbox! 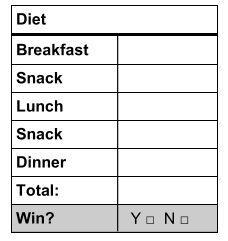 Bonus:We’ve also added a daily diet tracker to the bottom. 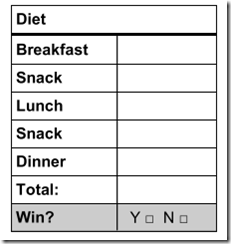 If you are counting calories, carbs, or weight-watcher points, you can track them here and WIN again!